Despite the importance of the mid-infrared (MIR) wavelength region for a wide range of application areas, current state-of-the-art sensing systems in the MIR tend to be large and delicate. This greatly hampers their deployment in real-world applications. 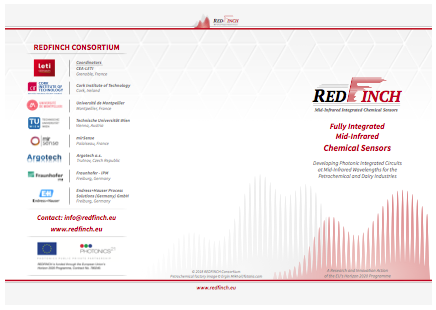 REDFINCH will harness the power of Photonic Integrated Circuits (PICs), using hybrid and monolithic integration of III-V diode and Interband Cascade/Quantum Cascade materials with silicon to create high performance, cost effective sensors. Integration creates extremely robust systems, in which discrete components are replaced by on-chip equivalents, giving a simultaneous improvement in ease of use and a reduction in cost. Silicon photonics leverages the advantages of high performance CMOS technology, providing low cost mass manufacture, high fidelity reproduction of designs, and access to high refractive index contrasts that enable high performance nanophotonics. Refinery gas is released during the fractional distillation of crude oil into various products of commercial use, such as butane, diesel and gasoline amongst others. Refinery gas is a mixture of multiple gases, consisting mainly of non-condensed hydrocarbon gases, C1 to C5. 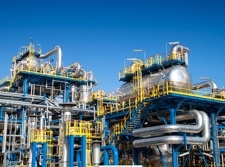 As the composition of refinery gas varies widely depending on the origin of crude oil, large-scale refining operations require fast decisions as the parameters of the process change. The continuous monitoring and fast response time enabled by the REDFINCH sensor will greatly enhance process efficiency. 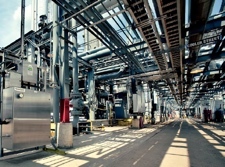 The large number of different analytes crucial for fuel gas applications usually cannot be measured with laser spectroscopic systems because of their limited spectral tuning range. In addition, the complex gas matrix requires a very high spectral resolution to avoid complicated chemometric algorithms, as would be necessary using FTIR based systems. For these reasons, gas chromatographs are still used as state of the art for fuel gas analysis, although they suffer from very long response times. The REDFINCH grating coupled sensor chip, comprising of multiple lasers (up to 30 lasers), will span the spectral range between 3 and 7 μm, with 200cm-1 coverage around each region. This will facilitate laser spectroscopic process analysers to measure up to 30 different analytes. The large number of different spectral measurement windows simplifies the handling of complex gas matrices. The response time is only limited by the sampling system and can be as low as milliseconds, as opposed to 8 minutes for the previously used gas chromatograph. Lower maintenance effort, better robustness and reliability compared to gas chromatographs drastically reduces the cost of the analyser over its lifetime. The faster response time greatly enhances process efficiency and reduces the amount of waste gas that is released to the environment. The consumption of natural gas is steadily increasing worldwide; in Europe the construction of new pipelines and ports to deliver liquefied natural gas (LNG) from different sources to the European gas grid will establish reliable gas supply at low cost for the next decades. This gas grid will also serve as a huge storage system to compensate for the increasing share of fluctuating renewable energies in Europe. 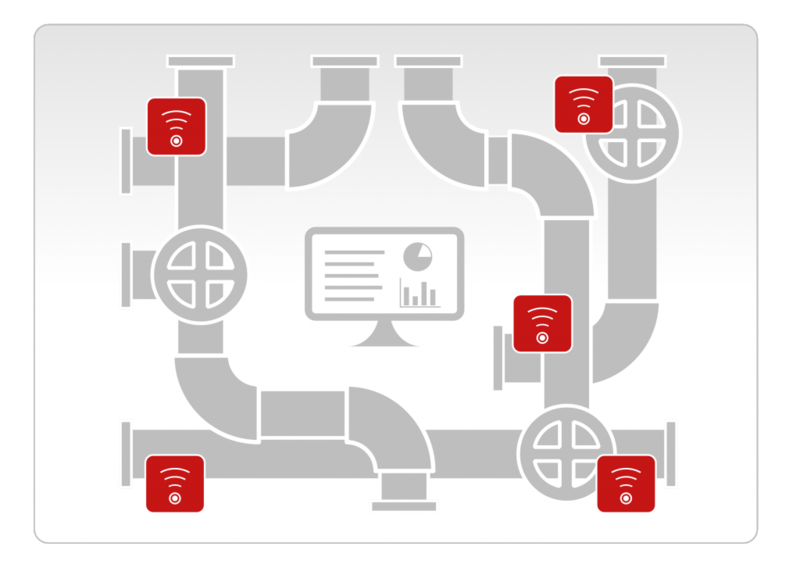 The infrastructure needs continuous monitoring, especially as it ages. Manual inspection, mainly using handheld portable sensors, requires a high amount of personnel and is very costly and time consuming. Photonic Integrated Circuits with micro Photo-Acoustic Sensors (PIC-μPAS) developed in REDFINCH will be a key innovation for leak detection. These sensors will have a consumption of less than 10 W in continuous operation. For infrastructure monitoring, they will be operated in a slow pulse-burst mode. 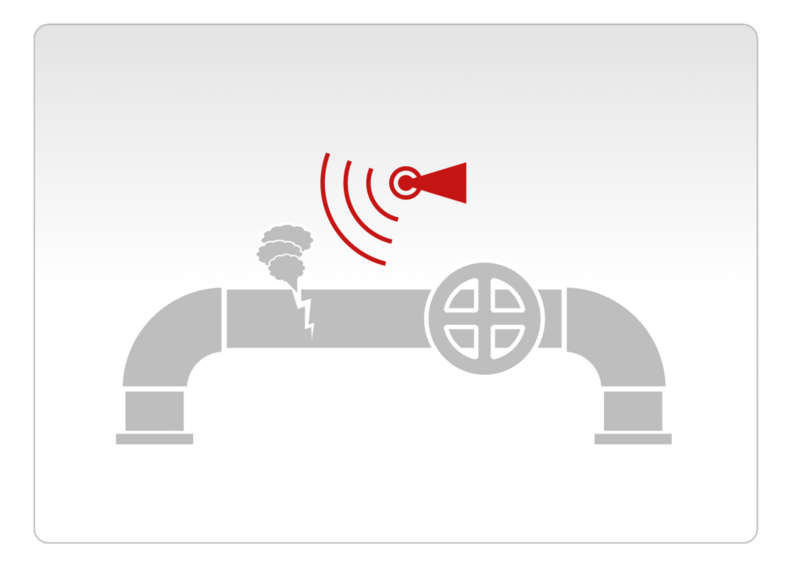 If a leak is detected the awareness of the sensor, i.e. the pulse frequency will be increased. By such methods, average power consumption is very low and the sensor could be battery-operated over a year or powered by an ambient energy harvester e.g. a solar cell. PIC-μPAS will be part of a wireless sensor network to monitor e.g. a refinery infrastructure. Compared to existing sensors, they will be more sensitive, more specific and of higher dynamic range resulting in more reliable detection and less false alarms. In one scenario a pipeline surveillance team deploys REDFINCH PIC-μPAS sensors in an autonomous vehicle. Compared to existing bulky laser spectroscopy systems, no gas distribution manifolds and big pumps are needed. The PIC-μPAS sensor will be mounted close to the sampling probe heads, ensuring a fast response without the delay incurred by gas transport. The low power consumption of less than 10 W and small weight allows for a vehicle battery lifetime of more than 12 hours. For mobile applications the PIC-μPAS sensor has a rapid response time << 1s and high dynamic reserve. As the robot vehicle patrols the (underground) pipeline, a methane leak in the low ppm range is detected. A search routine is triggered and by monitoring the direction of increasing concentration the gas plume is tracked back to the source, where the concentration is much higher and up to the percent range. This is the advantage of the high dynamic range of the PAS technique compared to other detectors, which would have saturated some distance from the leak, giving only a vague location. The vehicle communicates to the base the exact leak location along with its strength and composition. A response team is rapidly deployed. The low system costs allow multiple sensing vehicles to be employed, reducing the likelihood of false positives and aiding the decision making of the control team. 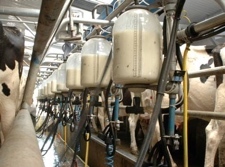 Milk production and processing is a multi-billion Euro industry. Farmers want to monitor the milk to better understand the health of their cattle and manage the herd. Dairies need to monitor the milk as the farmers are paid according to the constituents of the milk. Processors need to monitor the milk to quality control their products. Today nearly all milk monitoring is done offline through the taking of samples and the analysis of those in a lab – a slow, expensive process. State of the art milk analysers cannot differentiate between different types of proteins, they can only quantify the total protein content in a sample. 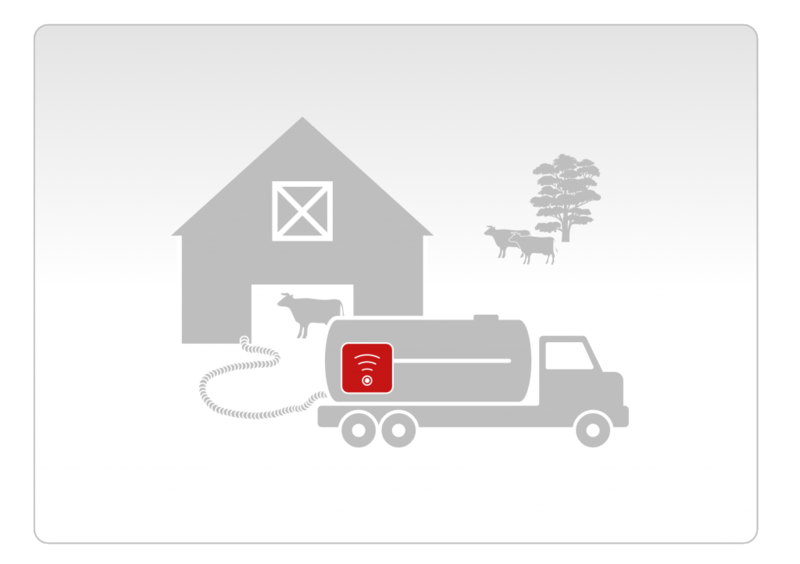 The REDFINCH protein sensor will enable analysis of the milk at the collection tanker, allowing efficient redirection and distribution of the consignment. A REDFINCH protein analysis sensor is installed as an in-line monitor on the collection tanker. As milk is collected at each farm, the protein content is recorded. Due the advantages of laser based sensing the REDFINCH protein sensor can discriminate between different milk proteins. Instant information on the quality of the milk is obtained and the farmer’s account updated. The fat and protein content of the milk in the tanker is determined and found to be high in casein. The tanker is then directed to the nearest cheese processing plant, which makes the most effective use of this particular consignment. Dairy products are traded between dairies in large quantities and often sold to factories such as cream liqueur or cheese processing plants. The requirements of each are very different and real-time information on the milk composition allows the milk to be directed to the most appropriate customer increasing its value. Contamination problems, due to animal sickness, are immediately identified, minimising wastage. ©2018 REDFINCH Consortium. All rights reserved. REDFINCH © 2019. All Rights Reserved.